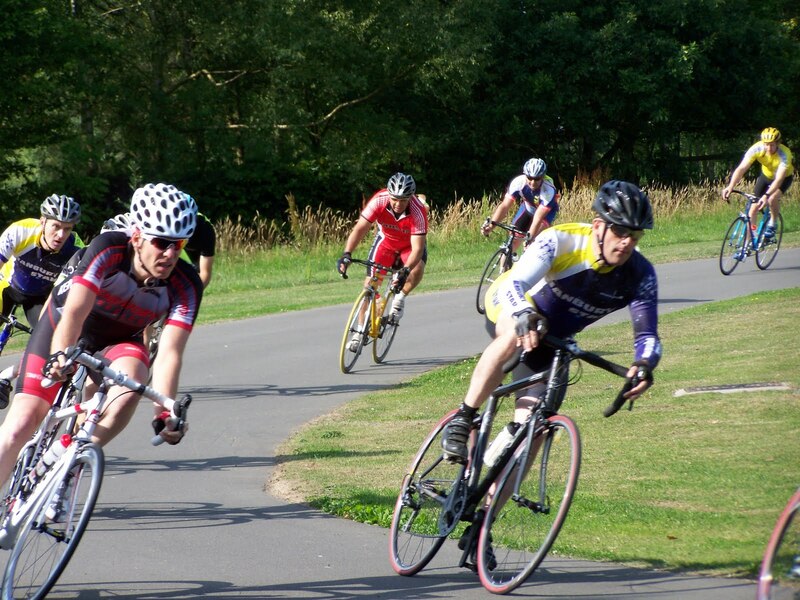 My first race since the Leamington Victoria Park Criterium 3 weeks before took place in Solihull on the Tudor Grange Park cycling circuit – another new track to learn! 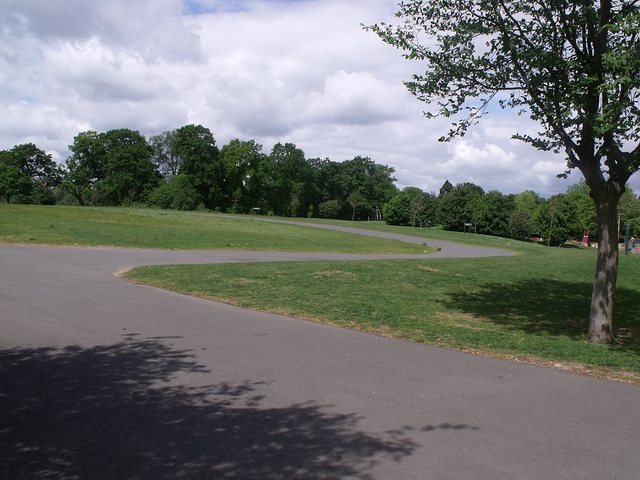 The race was a 40 minutes + 5 laps type and the track itself was quite interesting – there’s barely a straight line on the criterium circuit, lots of sweeping bends and little kinks to be aware of and also a nasty kick of a bump to make things interesting. Keen to avoid a repeat of Leamington’s wobbles and antics, I drifted around at the back for most of the race sticking to a line on the outside – the race itself was a 4th Cat Only race and as such not a lot really happened. A couple of people tried to move away only to not get far off the front, someone attacked and I went with him but we were caught within a lap. Deciding that was a pointless endeavour I drifted back to the back. I managed to avoid the crash by the skin of my teeth – someone on the inside on the sweeping bend on the fastest part of the circuit wobbled, the person on my left shoulder pushed outwards and I had to make a detour onto the grass. Straightening up and sprinting out the saddle on the bumpy grass I only lost a second or two and recaught the bunch. The next time round though, a couple of people were off their bikes and were resigned to their criterium race being over. I’d just about avoided the same fate. Coming towards the end of the race, the Garmin was saying 38, 39 minutes of racing completed I found myself back right on the front – scenarios played themselves out in my head and went with powering round as fast as I could at the front thinking that I’d make the top 10 (and points) if I could hold it until the last lap of the criterium. As it was, I held off the pack in the gap between 6 laps to go and 1.5 laps to go – being caught on the steep kick as I began to struggle. Almost immediately a counter attack went and my chance was gone, I’d effectively spent 3 miles at the front going flat out. I stayed in the bunch and overtook a couple at the end – I can’t give an exact finishing position but 20th seems about right from 40. Again, I was strong enough to never be in danger of being dropped but just need to be better at finishing off criterium races.